However, to improve the customer service experience, it is essential for them to ensure that they keep the customers engaged with the brand. After all, customers across the globe say that support service is an essential factor to be loyal to a brand. That’s why it is important for brand to have platforms like live chat software onboard to reach the above objectives easily. 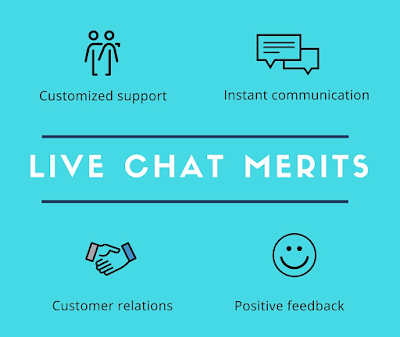 How the Use of Live Chat is Beneficial for Brands? According to a report published by FurstPerson, nearly 77% of the consumers will only make a purchase if there is live chat available on the website. Live chat being the primary preference of most customers is enough reason to integrate it to your website. However, the popularity and demand for the feature also have a fair justification behind it. Live chat is mainly preferred by customers because of the immediacy it offers. While the average waiting time for email support and social media support is 10 and 12 hours respectively, the average waiting duration for live chat support is merely a few seconds. Customers can instantly get connected to a knowledgeable representative. This allows them to resolve any issues that they might have only a few moments after the problem has occurred. Added to that, frequent and loyal customers expect your services to be at their beck and call. Not being able to provide them with the same can even drive away the most loyal of customers. The live chat feature aids your business to do exactly that. It allows you to instantly respond to customer queries. 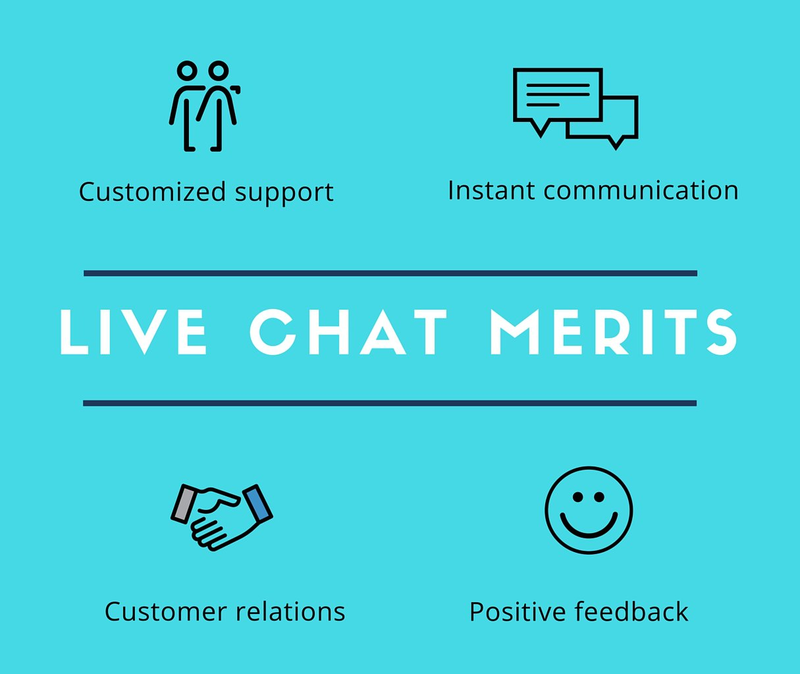 Along with the aforementioned, employing a live chat feature on your company website can also allow you to provide pre-sales support which is a rare occurrence even in the never-ending sea of eCommerce businesses. Using the live chat feature for pre-sales support can exponentially increase your chances of converting a lead into a paying customer. That is mainly because you can immediately route them to the appropriate department merely moments after they reach out to you with their queries. This is regarded as a sign of a great customer experience which is also responsible for attracting leads frequently to your business. 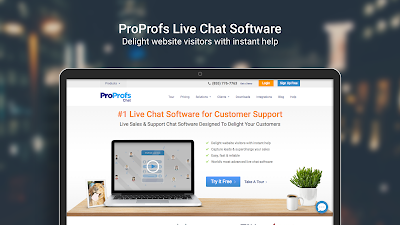 How ProProfs Chat Helps You? Being a SaaS-based software, ProProfs Chat is the perfect support solution for organizations to provide instant answers hassle-free. The live chat tool is equipped with features that help operators provide delightful customer experience. 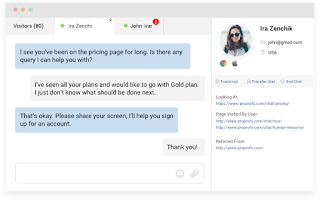 So, let’s take a look at how ProProfs Chat can help you not only offer delightful customer support but also improve your teams’ productivity and efficiency in the long run. One complaint that customers make constantly is the delayed response time. 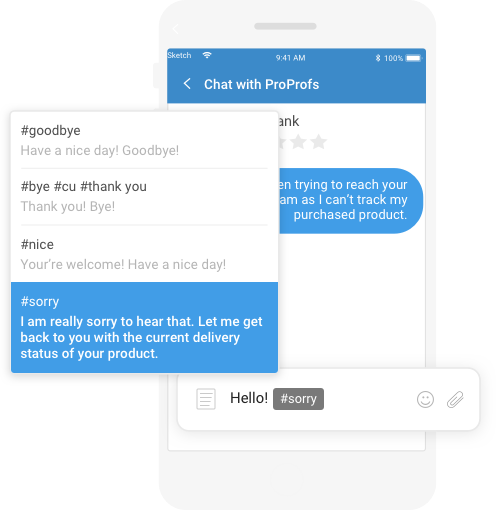 But, with ProProfs Chat you not only reply instantly but also save general replies and categorize them using tags. As seen in Fig (1), every repetitive reply can be tagged and, when you feel one of these “canned responses” are appropriate to use, all you have to do is click and send the message! This helps to reduce the response time and resolve customer queries faster. Customers love being valued. A proactive chat with personalized greetings goes a long way in saying “you matter!”. 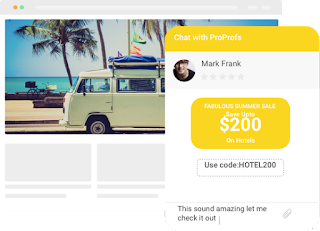 ProProfs Chat offers an easy-to-use platform that helps you send personalized chat greetings to your website visitors. Not only that, as shown in fig(2), you can also reengage your customers by promoting discounts and offers. This helps in boosting sales and creating a positive rapport with your customers, ultimately enhancing their loyalty and trust. As important it is to engage and offer delightful customer support to your customers, it is equally essential to monitor their behavior on your website. This helps your operators to step-in and offer help without them reaching out to you, thereby increasing customer loyalty in the long run. Some customers may also spread the word of your company's’ exceptional support, resulting in an increased customer base. Along with this, the real-time website visitor monitoring feature also helps you analyze where your website can improve. Understanding where your customer support team lacks and is not able to perform is essential to improve their performance. The key to providing a delightful customer experience is constant augmentation. 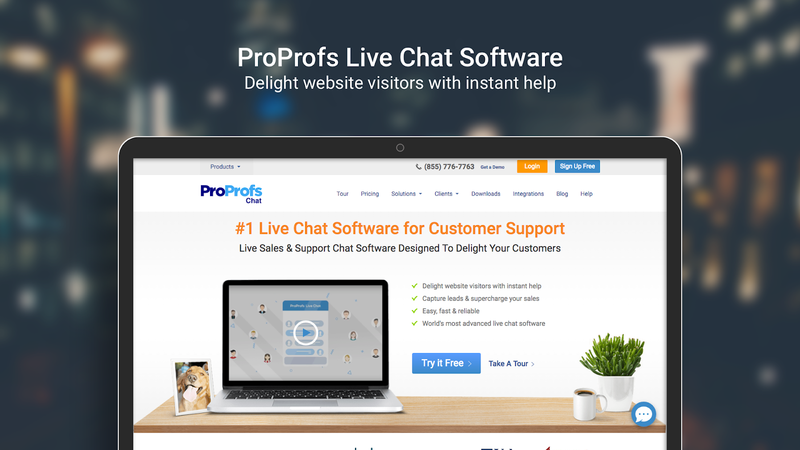 ProProfs Chat is a solution that allows you to effectively integrate the live chat feature on your website. Added to the ability to immediately connect and resolve your customers’ queries, ProProfs Chat is also integrated with several other features that are beneficial to both you and your customer base. Owing to the easy installation method coupled with impactful features, you can employ the live chat feature to your business almost instantaneously. To know more about the service they provide and to read further about their products, you can visit the official ProProfs website here.